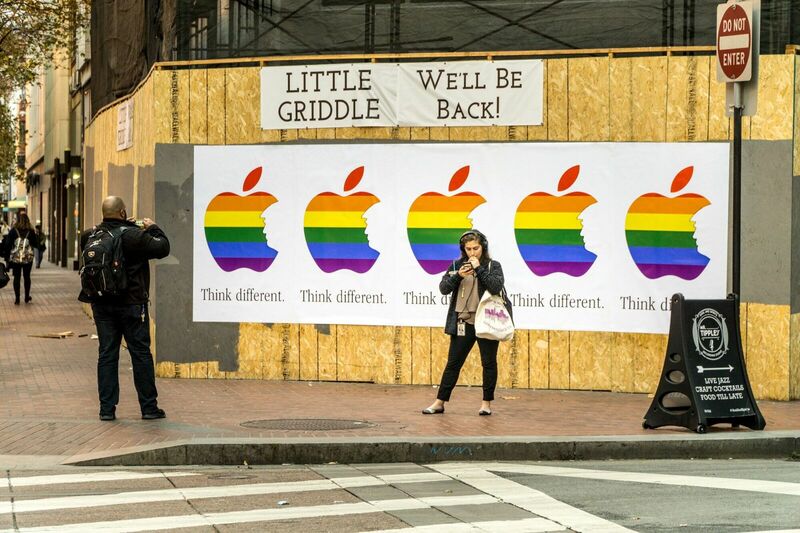 The posters were most prominent in San Francisco’s Castro District. 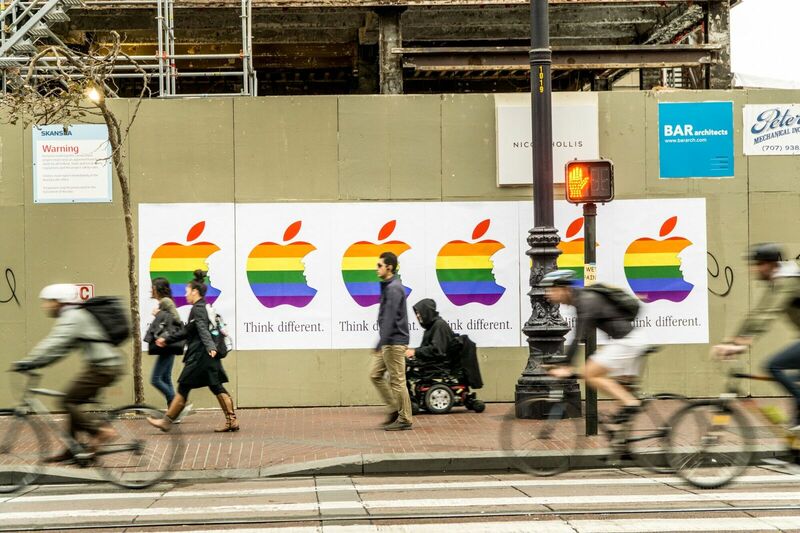 They were also photographed at Divisadero & Haight, Divisadero & Page, Market & 7th St, across from Twitter headquarters at Market & Fell, and near the HRC’s offices on Castro Street. Last month black-and-white version of these posters appeared in Hollywood and other parts of Los Angeles. 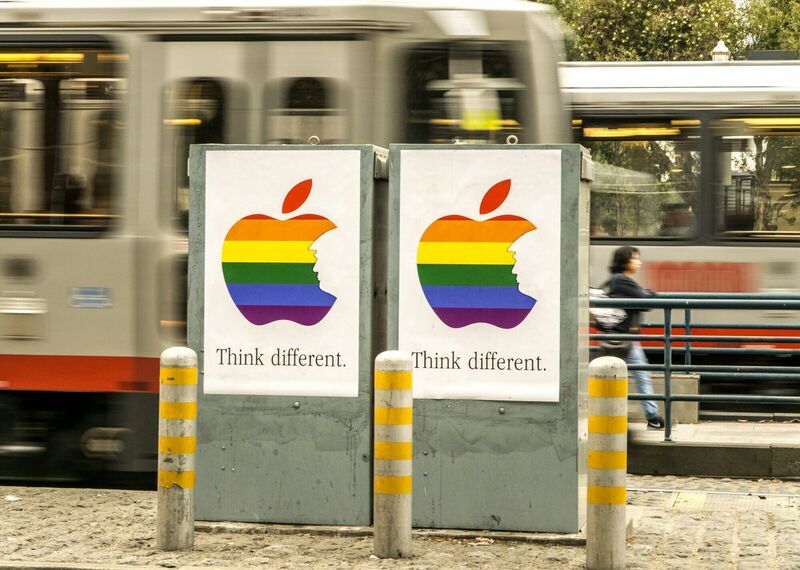 Today is National Coming Out Day, and the artist group known only as “Art Wing Conspiracy” emphasized the importance of “culture jamming” using popular symbols and events. 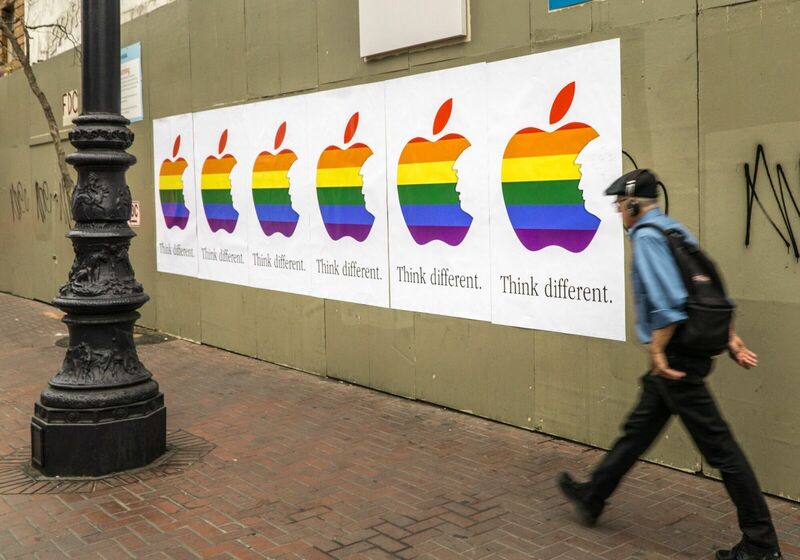 Pictures of the art are being shared across social media on the #NationalComingOutDay and #ThinkDifferent hashtags. The art follows another culture jamming event that took place in New York City last weekend, the pro-Trump art show known as “#DaddyWillSaveUs.” The show took place at an art gallery in Chelsea and featured art by Milo and Twinks4Trump. 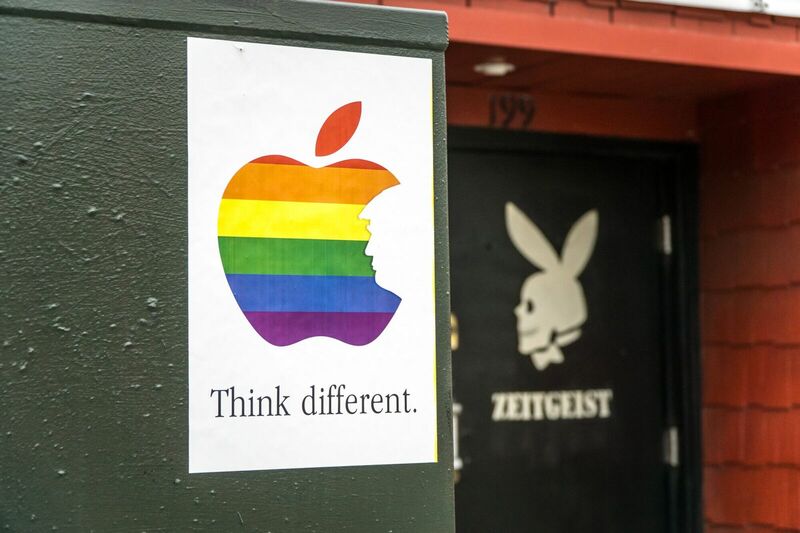 Think Different posters in front of Zeitgeist Bar where two Trump supporters were abused in early October.